Electrical Hazard footwear is classified with an “EH” rating – this electrical safety standard is designed to provide a secondary source of protection when accidentally coming into contact with live electrical circuits to reduce the potential of electric shock. 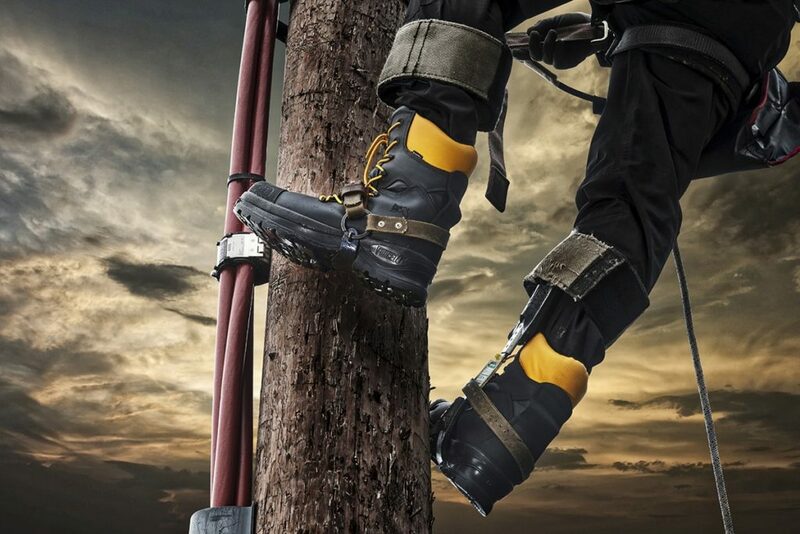 This covers footwear and protection of utility workers carrying out maintenance of Overhead Lines & Underground Cables distributing electrical power at LV (Low Voltage), MV (Medium Voltage) and HV (High Voltage). Electrical Hazard (EH) is an entirely different specification and standard to Anti-Static and ESD. 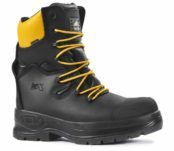 Electrical Hazard boots are designed to impede the flow of LV MV HV electricity through the shoe and to the ground reducing the likelihood of electrocution, in accordance with ASTM F2413-11. The outer surface of the sole and heel should not be penetrated by any electrically conductive component. EH shock resistant and protective footwear must be capable of withstanding the application of 18,000 volts (18kV) at 60 Hz for 1 minute with no current flow or leakage in excess of 1.0 milliampere. 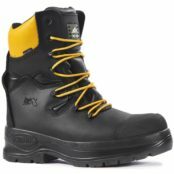 Electrical Hazard boots are not meant to be the main source of protection in an electrical hazard environment. 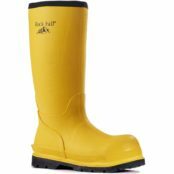 EH boots are designed to be used as a secondary source of protection. Trusted by Rail Workers, Linesmen, Jointers, Electricians, Hybrid/Electric Car Manufacturers, Electric Car Chargepoint Installers. ➡ The Rock Fall Electrical Hazard Range is certified to the American Electrical Hazard Standard. ASTM F2413-11.